You won’t find this deal in the sales ads and it’s exclusively available just once a year… our Black Friday/Cyber Monday gift card deal is back! Purchase a $50 gift card for just $40 or a $100 gift card for just $80. 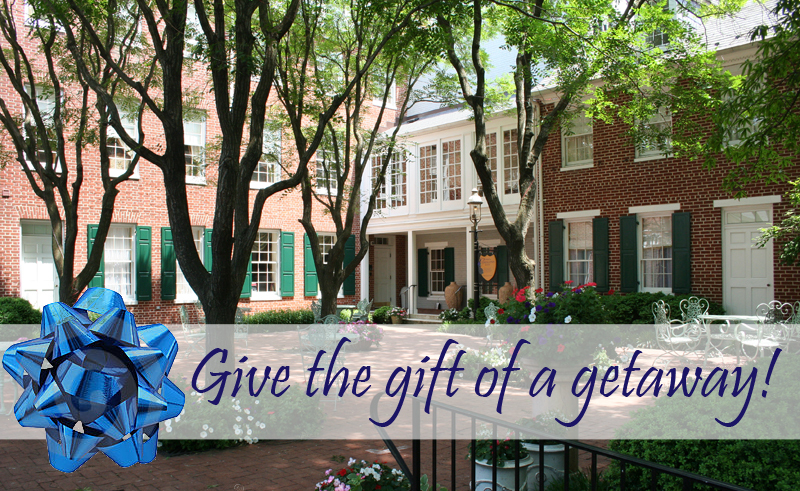 Give the gift of an unforgettable getaway at 1840s Carrollton Inn this holiday season. Lucky recipients can apply their gift card to our amazing winter rates available December through March and a much-needed winter getaway is all the more affordable. Gift cards are available in any denomination and there is no limit to the amount you may purchase. You must mention your gift card at time of reservation and they may only be applied to new bookings. Click here to purchase gift certificates online and enter promo code “HOLLY14” in the notes section of the purchase form. But remember, this deal is only valid for gift cards purchased on Friday, Nov. 28 and Monday, Dec. 1.